President Donald Trump’s plan to divert $6.6 billion from the Pentagon and the Treasury Department to help pay for the construction of a border wall is a frontal assault on the constitutional provision that gives Congress the authority to appropriate public funds. It is shocking that 41 Republican senators accepted this extralegal seizure of power. But as illustrated by the Pentagon’s newly released list of military construction projects that might have to be canceled, Trump’s plan isn’t just objectionable because of his constitutional overreach. It will also harm national security by forcing cancellation of projects that are necessary for the safety of members of the armed forces and for military preparedness. In the San Diego region, nearly $170 million that was meant to be spent on construction of a new Navy SEAL complex in Coronado is in jeopardy. At Marine Corps Base Camp Pendleton, $175 million in projects may be canceled, including a fire emergency response station needed to address the huge threat of intensifying wildfires. New landing pads for F-35B combat aircraft at Marine Corps Air Station Miramar and long-planned infrastructure projects at Naval Air Station North Island and Naval Base San Diego could also be scrapped. 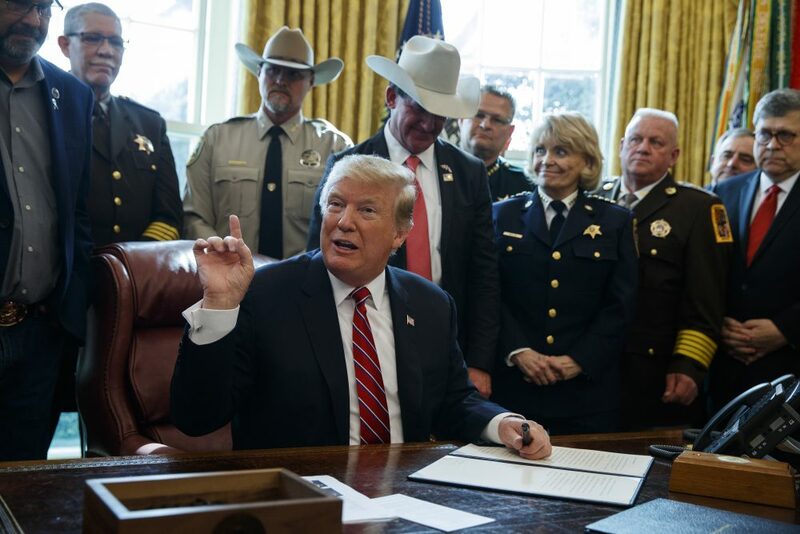 Besides his signature concern about unauthorized immigration, Trump says a border wall is urgently needed to stop narcotics trafficking. But this is undercut by the fact that in recent years, the Drug Enforcement Administration has repeatedly reported the vast majority of illegal drugs entering the U.S. from Mexico came through ports of entry. The president has pledged to rebuild the military after it was allegedly “totally depleted” because of budget rules approved by Congress in 2011. There is a gap between his words and his actions.